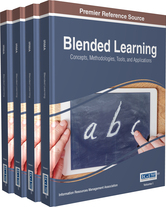 Blended Learning: Concepts, Methodologies, Tools, and Applications explores emerging trends, case studies, and digital tools for hybrid learning in modern educational settings. Focusing on the latest technological innovations as well as effective pedagogical practice, this critical title is a comprehensive resource for the field of education. A FLIPPED CLASSROOM OR JUST HYBRID? WHAT ARE LIBRARIES DOING IN THE ASPECT OF MOBILE TECHNOLOGIES AND SERVICES? WHY ENTER A MOBILE WONDERLAND? Chapter 94: To Be or Not to Be Successful? WHAT DOES THE LITERATURE SAY ABOUT FLIPPED CLASSES? Chapter 104: Is Flipped Classroom a Tendency or a Fad?